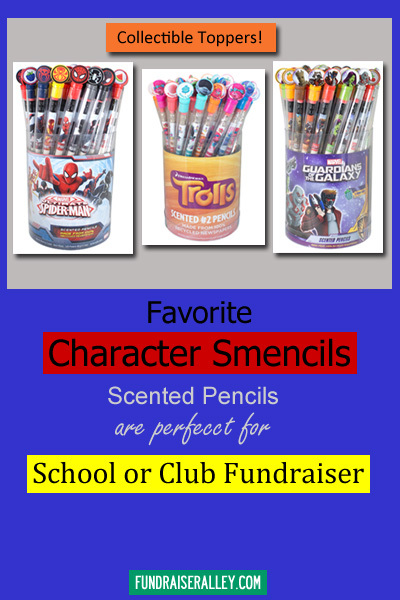 Smencils (scented pencils) make a great fundraising product choice for school clubs or groups, since the perfect place to sell pencils is at school. Feature these in your school store or set up during lunch breaks. 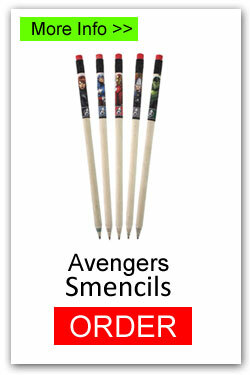 Each of these cool character themed Smencils have a yummy scent and include a collectible topper. Students will want to collect the whole set. Characters include Spider-Man, Guradians of the Galaxy, Avengers and Trolls. 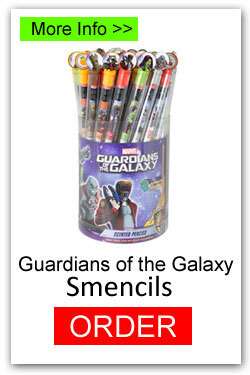 Each Character Smencil sells for only $1, earning a 40% profit. And, free shipping is a big plus. 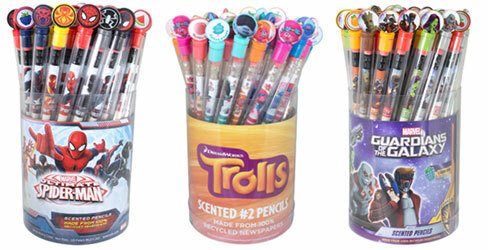 Each bucket has 50 pens, with 10 each of 5 scents. There are 10 buckets in 1 case and a 1 case minimum order. You should give them a try! Each bucket includes 10 each of 5 scents. Scents will last for 2 years. Each character has different scents. 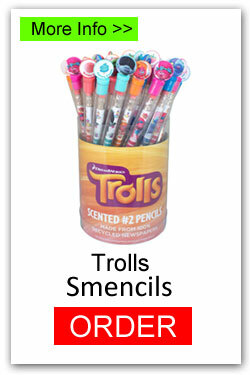 Trolls – Strawberry, Cotton Candy, Tangerine, Cupcake, Bubble Gum. Marvel Avengers – Super Soldier Snow Cone, Rainbow Bridge Sherbet, Repulsor Cinna-Blast, Gamma sour Apple Smash, Covert Cherry. Guardians of the Galaxy – Cherry, Root Beer, Orange, Watermelon, Blue Raspberry. Spider-Man – Watermelon, Blue Raspberry, Pineapple, Cherry, Cookies n Cream. 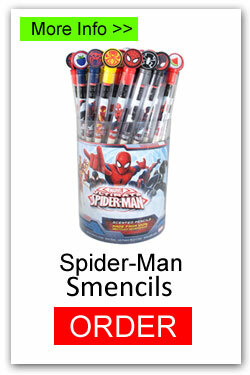 Smencils are made from tightly rolled sheets of newspaper around #2 graphite writing cores. Then this is hardened to the consistency of wood pencils and soaked in gourmet liquid scents. Each one has its own corn-based biodegradable tube to keep it fresh. The scent is guaranteed to last for two years. It’s Easy! You can use the links for the products above to order online or phone us (1-866-826-0944) to place your order. You have several options of payment. If you are ordering online, you can pay by major credit card, Pay Pal, or School Purchase Order. If you are paying by mail, you can also use a check, money order, or certified check. Shipping is FREE! And, you will receive your delivery in about 1 week. Note: We try our hardest to keep our site content accurate. However, sometimes we miss something or prices may change without notice. You can call a friendly consultant (1-866-826-0944) to double check the details. 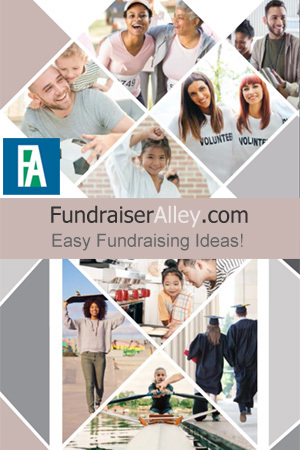 If you are interested in finding out more information about the products offered on this site, be sure and order a Free Fundraising Info Guide today.